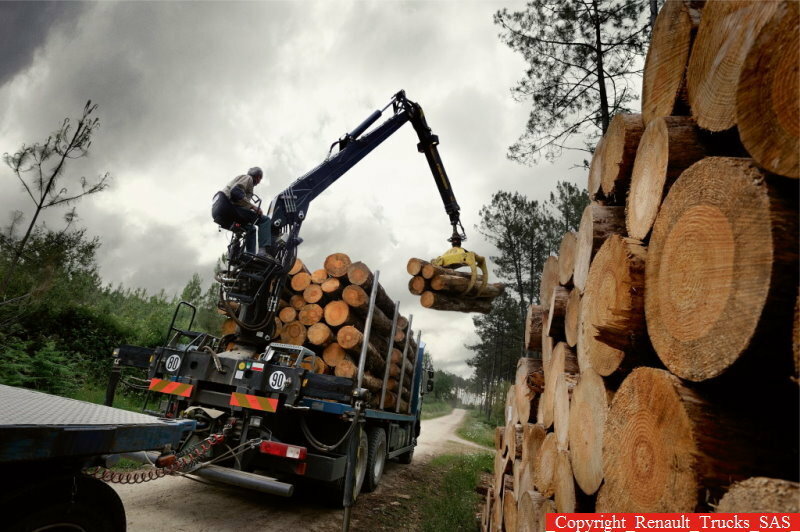 The Renault Kerax was developed to be able to operate under the most demanding working conditions. 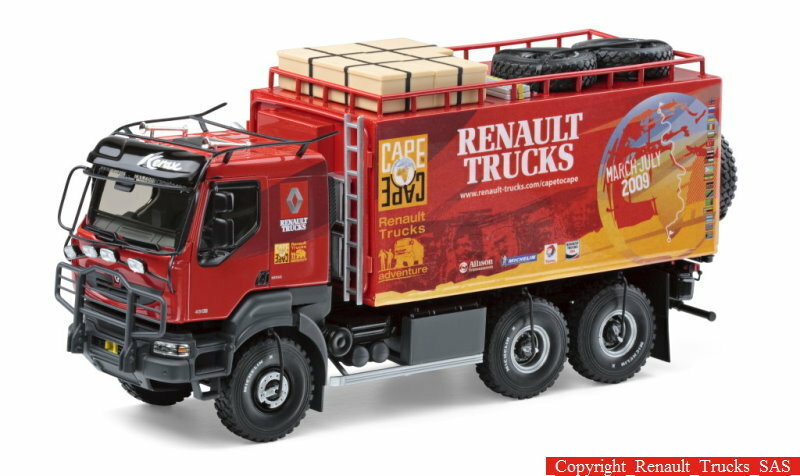 With a maximum payload of up to 30 tonnes for the heavy duty model, the rugged Kerax is one of the most capable trucks build by the French manufacturer. The truck features new drive axles and double reduction tandems which gives it astonishing performances for both on- and off-road missions. 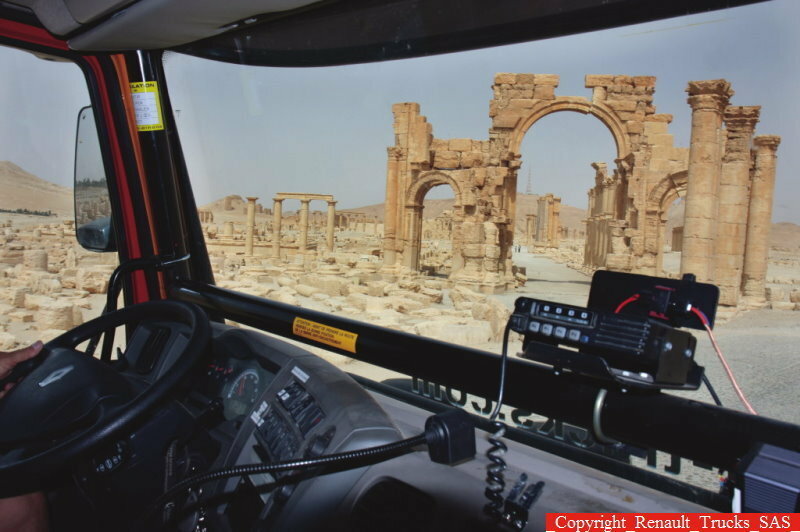 The vehicle is available in 3 cab configurations (Day, Global, Sleeper) and offers both manual and automated transmissions. 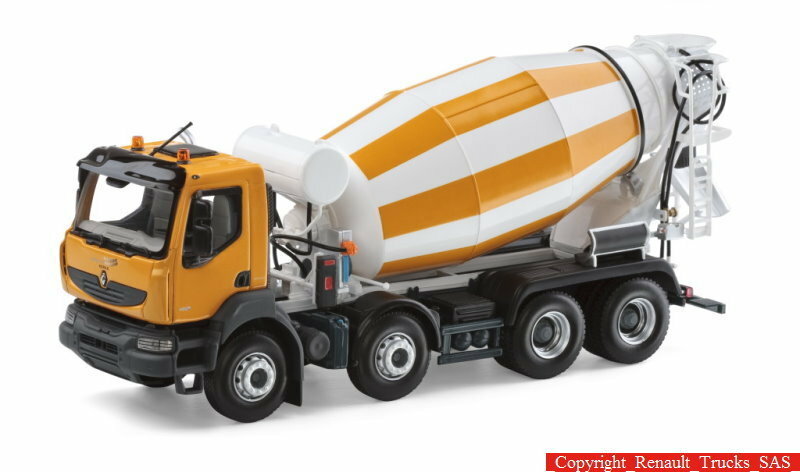 To offer maximum versatility the truck is available in both tractor and rigid versions with different wheel bases and axels configurations (4x2, 4x4, 6x4, 6x6 and 8x4). 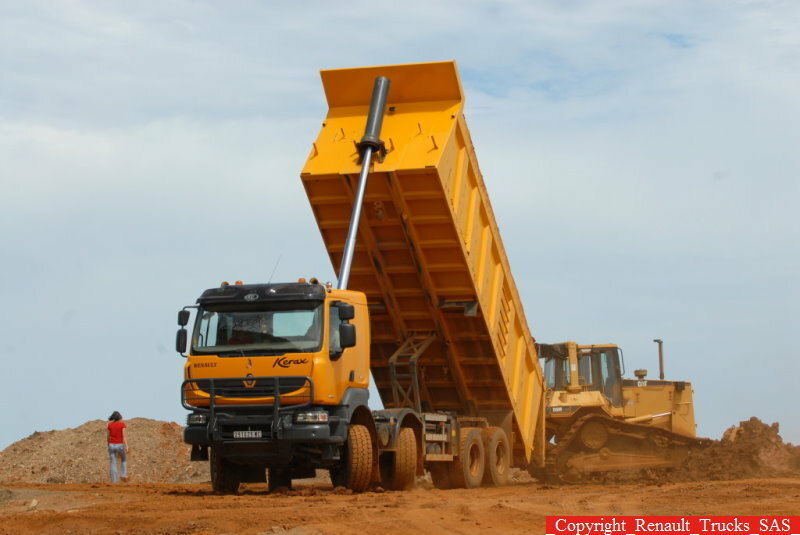 Renault Kerax is particularly suited to activities in the construction sector such as earth moving, demolition or heavy equipment transport. Viewed from afar, the Kerax could be easily confused with the Premium model as they share a lot of design elements. However, a closer look shows the unique character of the Kerax and its rugged nature. The bottom line of the front grille features a slightly parabolic line which is followed by the aerodynamic side deflectors giving the truck a modern look. The bumper features a heavy duty design while the rectangular light clusters are equipped with metallic protections which prevent them to be damaged. With up to 385 mm ground clearance under the front axle, the Kerax is the most raised truck in its segment. Due to the high ground clearance, you have to literally climb your way up into the cabin using the anti slip steps. Once inside you’ll find the same wrap round dashboard design that can be found at both Magnum and Premium models. The plastics are part of the hard class and look ready to endure some tough conditions without disappointing the driver. Even is the overall build quality isn’t as great as other trucks in the segment, the fittings look also pretty solid. The instrument cluster however, is among the best looking in the class and features a big round speedo flanked by three smaller gauges and a rectangular digital display which shows different vehicle information. You won’t complain about the ergonomy either as most of the controls, buttons and switches can be used without problems form the driver seats and they also have a logical layout. The air adjustable suspended seats are pretty comfortable too, and they offer good back support. The good driving position is also assured by the adjustable steering wheel which features an ergonomic design and offers a good grip. Thanks to the wide windscreen and the thin pillars, the road visibility is pretty good and unobstructed. 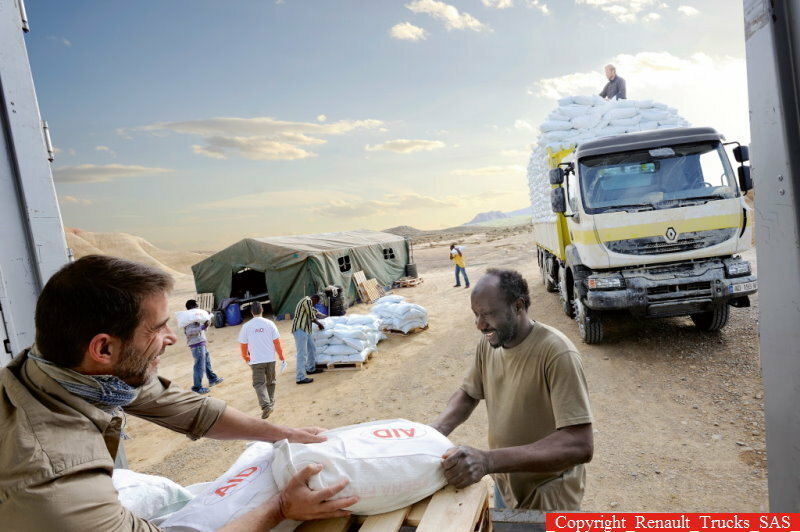 The truck can be fitted with optional side rear windows, which further extend the field of view by 30°. The rear view mirrors are big and offer a good visibility, but their blind spots are a bit too big compared with other trucks in the segment. The sleeper cab can be fitted with a pretty big bunk which is fairly comfortable and can offer a good overnight sleep. There are also plenty of cup holders, cubby holes and storage places spread around the cabin, so you won’t have any problems in finding places to put your things. The Renault Kerax is equipped with the DXi11 engine which is available with power outputs of 380, 430 and 460 hp. 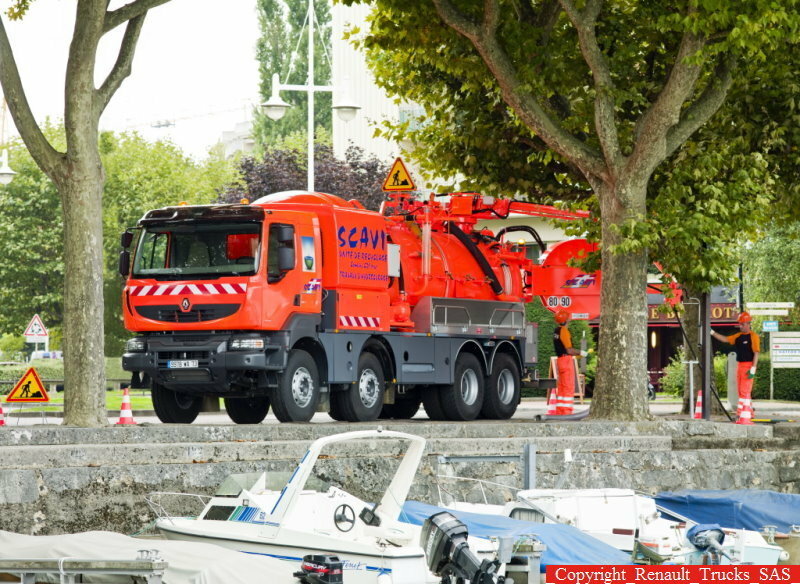 The engine uses the SCR (Selective Catalyst Reduction) system to comply with the Euro 5 emission standard. All engines offer generous torque figures which are delivered between 950 and 1,400 rpm, offering maximum performances even under the most demanding circumstances. The engines can be combined with ZF Ecosplit manual gearboxes with 4 to 16 speeds, or the Optidriver+ automated gearbox, which is perfectly suited for off-road conditions. The automated gearbox is very capable and features well chose momentums. The Optidriver transmission can be also controlled manually by means of the column mounted stalks mounted on the right side of the steering column. The clutch pedal of the Renault Kerax offers a good response and the gearbox keeps the gear changes to a minimum in order to save as much fuel as it can. Renault says that the Optidriver+ can operate in automatic mode in more than 90% of situations. However, unlike other automated gearboxes in the segment the Optidriver+ needs a bit more manual interventions in get the best performances out from the engine. 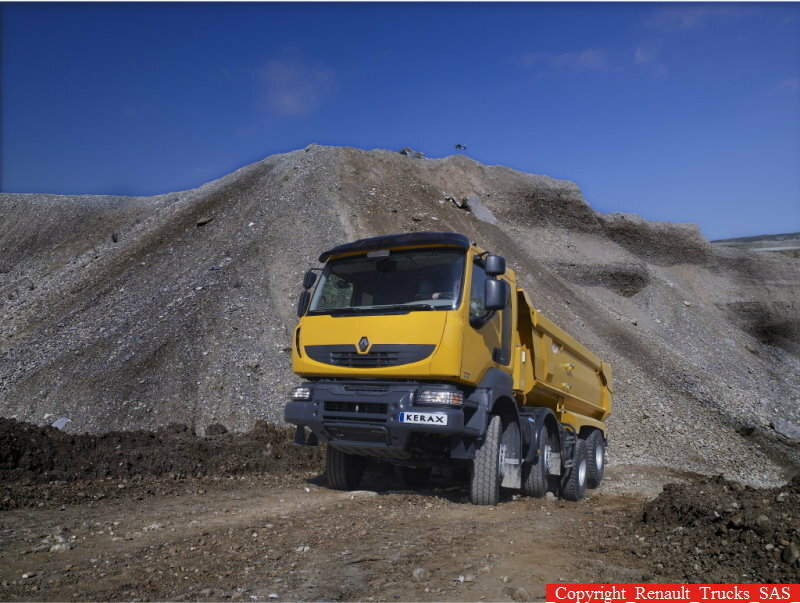 The Renault Kerax’s suspensions come in parabolic for up to 26 t and semi-eliptical configurations for the 32 t models. 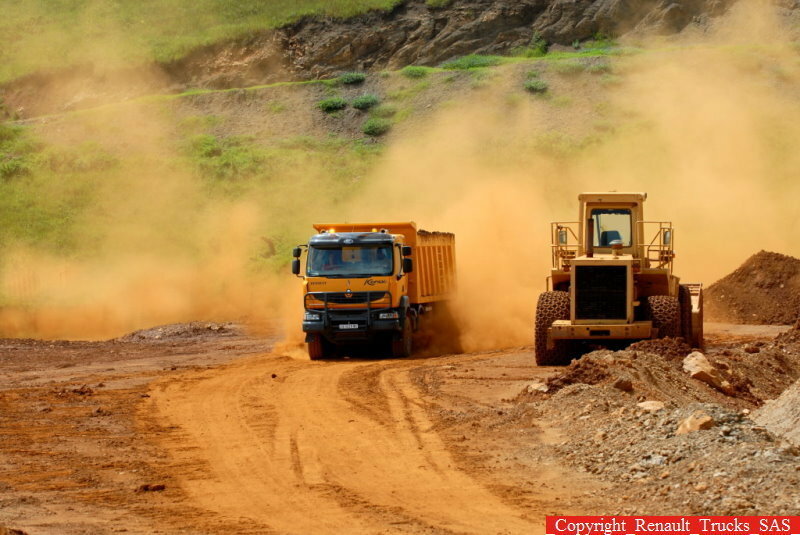 The suspensions are especially designed for the toughest conditions and can work even under extreme conditions. The ride comfort isn’t exactly high class, but the air suspended seat is able to soak most of the vibrations and offers a satisfactory ride. The truck also offers a range of dimensions adapted to all types of off-road applications with its double reduction front and rear drive axles as well as two types of hub reducer. You won’t have any complains about the steering either, as its precise and offers good feedback, while the cab over engine configurations gives the truck good handling abilities. The Renault Kerax is fitted with drum brakes and Electronic Braking System (EBS 5) as standard. The electronically controlled air braking system (EBS) is a very useful feature as it can adapt the vehicle braking wheel by wheel according to road grip conditions. 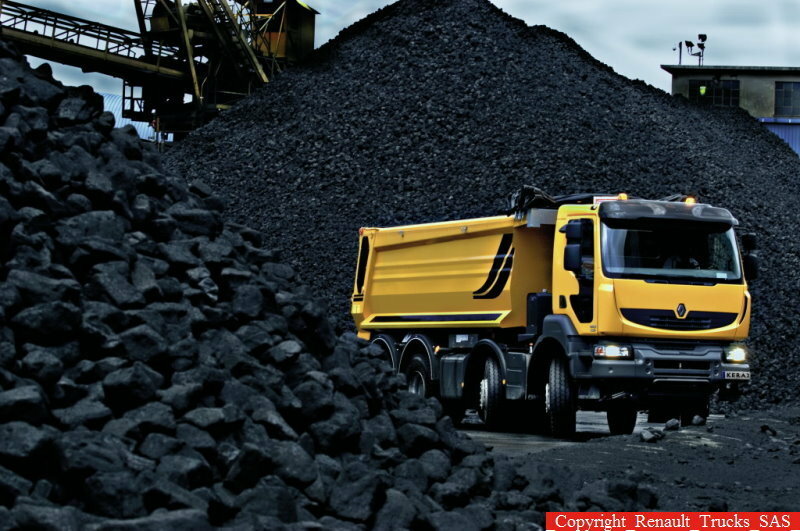 The Renault Kerax is strongly built and features a rugged character that comes at an affordable price. The high ground clearance and the capable engines gives it good off road abilities, while the wide range of axle configurations makes it perfectly suited for a large number of missions. Even if the cabin isn’t the best in the segment its materials are pretty solid while the comfort isn’t too bad either. The truck is also available with a wide range of transmissions which can keep the truck in check without problems and also offer good fuel consumption.